The first thing that you need to know about this palette is that it is tiny - if you have last years offering, then you will know and won't be shocked when you see it but to put it into perspective, it is 13cm X 9cm with the smaller powders being just over 3cm in width compared to 5cm in the standard blush. 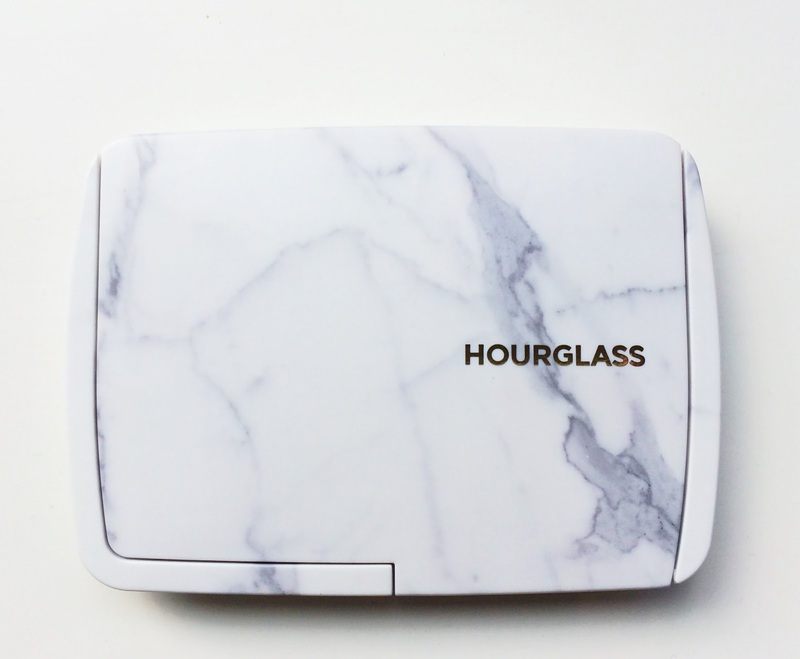 If you already own an Hourglass blush or powder, then you will be shocked by how small this is and depending on your brush of choice, you may find that your current brush will be too big for this palette. Once you get over that initial shock, you can then appreciate the beauty of this palette, especially the marble packaging with gold lettering. Surreal Light, which is an ambient lighting powder to be worn all over the face. I find that this softens the look of my makeup and thankfully, I have not found that it accentuates any patches of dryness on my face and it doesn't sit into fine lines. It is basically a very beautiful setting powder that will soften and diffuse the look of your makeup without looking too powdery. I think that this powder is more suited to neutral and warm toned skin than it would be to cool toned skin. Surreal Bronze Light, which is on the bottom left of the quad of powders, is a much lighter bronzer than my previous Hourglass bronzer (Luminous Bronze Light), which I am happy to see as it will be more suitable for me to use in winter. It is quite warm in tone but I can add some definition to my face and can warm it up, without looking overly contoured. Surreal Glow, sits on top of Bronze Light and on me, this only gives a very subtle glow to the cheeks. I think it would be good for days when I want to wear a strong lip colour and want to play down the rest of my make-up or equally on very minimal make-up days because it just adds a little somethin' somethin' to the cheeks. 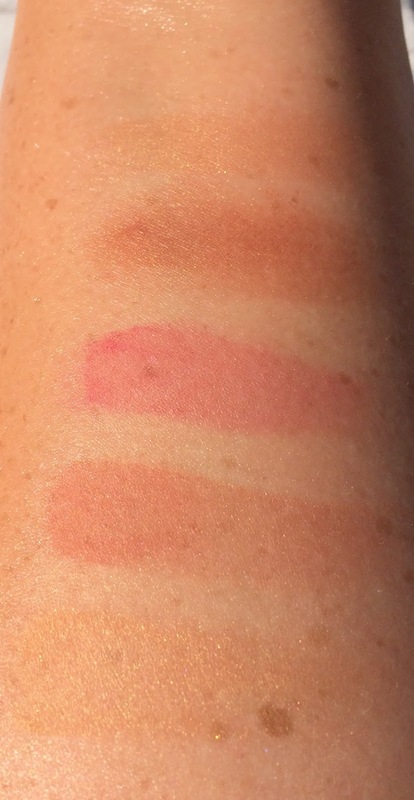 Surreal Effect, is in the top right of the quad of powders and it is a beautiful pinky-coral colour (my ideal blush colour) and this is my favourite of everything in the palette. It is recommended on the card that comes with the palette, that this is to be layered over Surreal Glow for a brighter pop of colour. This is probably my favourite product in the whole palette because it really brightens my complexion and suits my skin tone. Finally is Surreal Strobe Light, which is a warm highlighter that adds a little luminosity to the face. It is very sheer and subtle so if you're a Champagne Pop type of highlight fan, then this won't be for you! Having said that, when used with all of the other products in this palette, the overall result is soft and glowing enough but you won't get the discoball effect with this highlighter. 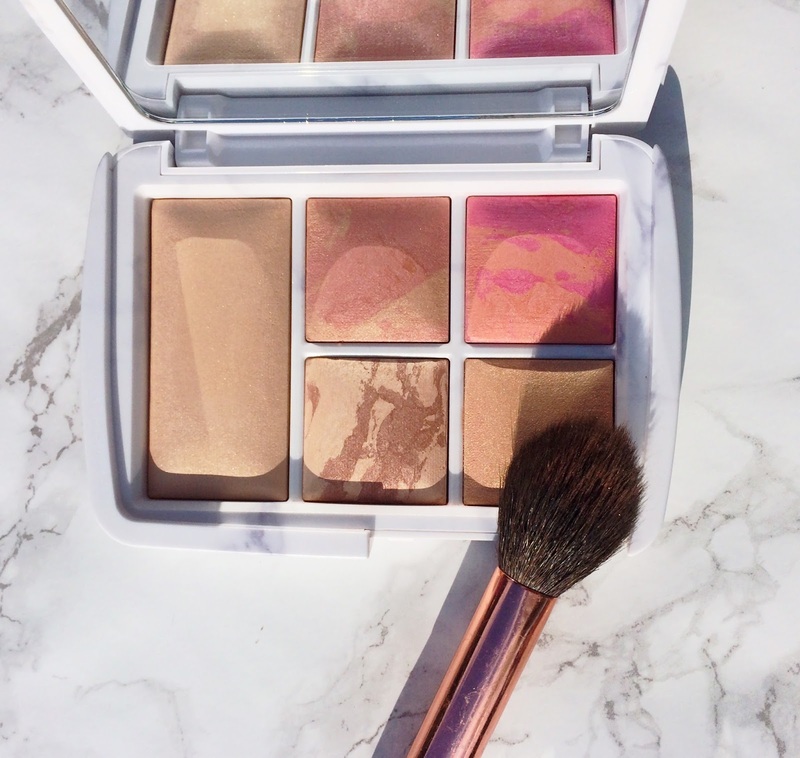 I find the powders to be the same texture as in my other Hourglass products so there is no compromise on quality, given the size (just as well when it costs so much!). Overall, I am happy that I own this palette and I will use it a lot but what I really like about the previous Ambient Lighting Edit is the diversity of the powders: diffused, dim, luminous etc, whereas all of the products in this palette are combined with the surreal light powder, so if you don't like that then this palette will disappoint you and the powder is not available to buy on its own so it's an expensive risk to take. It also won't be suitable for pale skins, in my opinion so bear that in mind if you are trying to decide whether to splash the cash. I'd love to hear your thoughts on this palette? Are you planning on buying it? Did you buy last years version? I'd love to hear your thoughts in the comments below! Don't forget to enter my Kat Von D giveaway here!